If I were pressed to find something more popular than superhero movies, it’d be battle royale games. Of the latter, Fortnite is the currently-reigning champion. Now the most popular battle royale game is crossing over with the most popular superhero movie currently in theaters, as Infinity War‘s Thanos is joining the fight. The details: The pairing will be for a limited time only, starting tomorrow, in a mode called “Infinity Gauntlet Limited Time Mashup”. The new mode will allow 100 players to duke it out in a map, as per usual. The wrinkle here is that a fully-powered Infinity Gauntlet is on the field, and whoever picks it up will become the Mad Titan Thanos and be able to wield the Gauntlet’s powers — and, without meaning to spoil Infinity War, that’s really bad news for everyone else. The context: This time last year, I’d have wondered how a studio like Epic Games would have landed the likes of a Disney/Marvel partnership, but now I’m wondering if maybe Marvel are getting the best half of the deal. 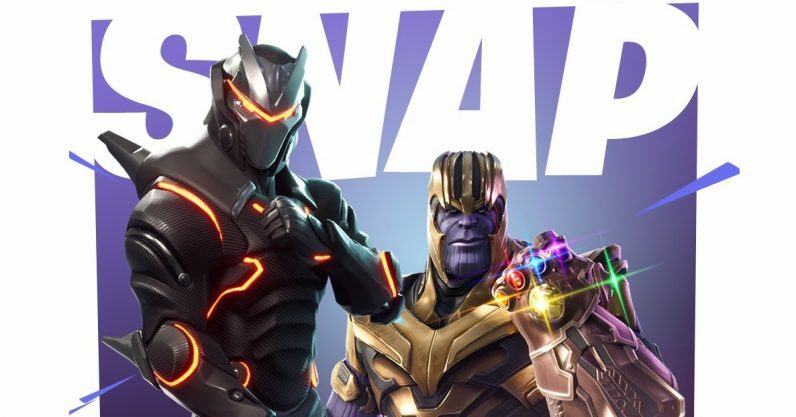 According to Entertainment Weekly, the idea came from Infinity War directors Joe and Anthony Russo, themselves big Fortnite fans. They collaborated with Donald Mustard, the creative director of Epic Games to create the mode — apparently the brainstorming was as simple as calling him up and geeking out with him for a few minutes.